The Deluxe Series with up to a 19 SEER rating and variable speed compressors offers superior cooling combined with the most efficient operation. Silence is golden and you’ll experience the near silent operation of an advanced air conditioning system with the Deluxe Series. When paired with the Observer® Communicating Wall Control you’ll also experience the convenience of Wi-Fi® enabled remote access. Super efficient, quite and durable, the Deluxe Series has it all and it’s waiting for you. Call AC Repairs Inc. 813-909-0809 for expert advice on selecting just the right air conditioning system for your home. With enhanced humidity control and a cooling capacity up to 5 tons, the Deluxe 19 Air Conditioner takes the sticky out of our humid Florida summers and puts the comfort in. Energy Star compliant with a 5 stage variable speed compressor ensures the most efficient operation even when the temperature soars. When paired with the Observer® communicating wall control, the TVA9 enables Wi-Fi® enabled remote access for the latest in technological convenience. This ultra quiet top performer comes with a 10-Year No Hassle Replacement™ Limited Warranty and a 10-Year Parts Limited Warranty. 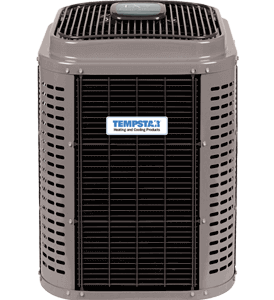 Enhanced climate control with a two-stage variable compressor, the Deluxe 17 Two-Stage Central Air Conditioner is built to withstand the intense heat of the Tampa Bay area. Even while working hard, the TCA7 remains super quiet. This workhorse comes with a 10-Year No Hassle Replacement™ Limited Warranty and a 10-Year Parts Limited Warranty. Combine it with the Observer® communicating wall control for Wi-Fi® enabled remote access. 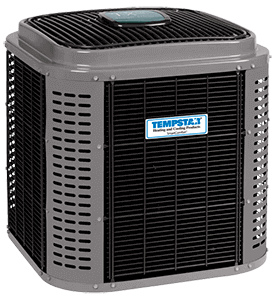 Powerful, efficient and durable this air conditioner is hard on the heat but easy on the budget due to it’s advanced technology and Energy Star compliance.